Cazal eyewear is based on the idea that "Good design must be thought provoking." The distinctive and artistic style of the Cazal brand creates its own trends. The Cazal eyewear collection satisfies the most demanding of customers and appeals to many different tastes. Cazal 6015 is a Full Rim frame for Men, which is made of Plastic. 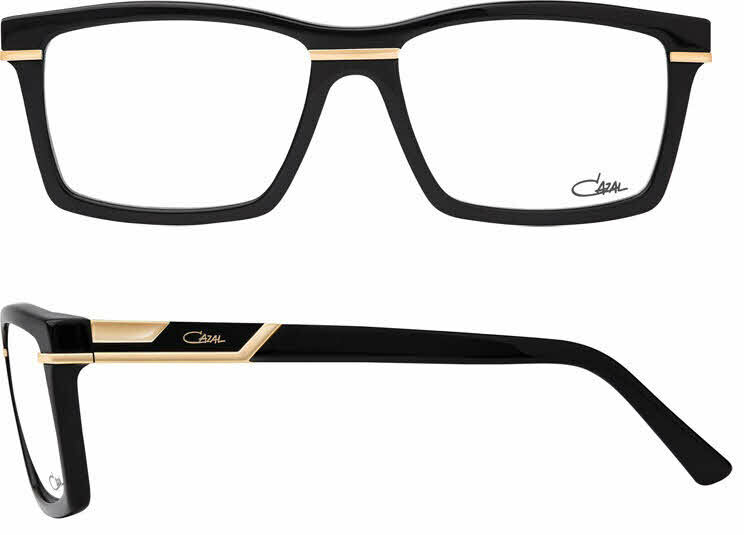 The Cazal 6015 Eyeglasses feature the following logo: Cazal logo on temple. Cazal 6015 Eyeglasses come with a cleaning cloth and protective carrying case. I recently bought these and I am very impressed with the out come everything thing went smooth and also had prescription added overall heat experience would highly recommend Frames Direct.